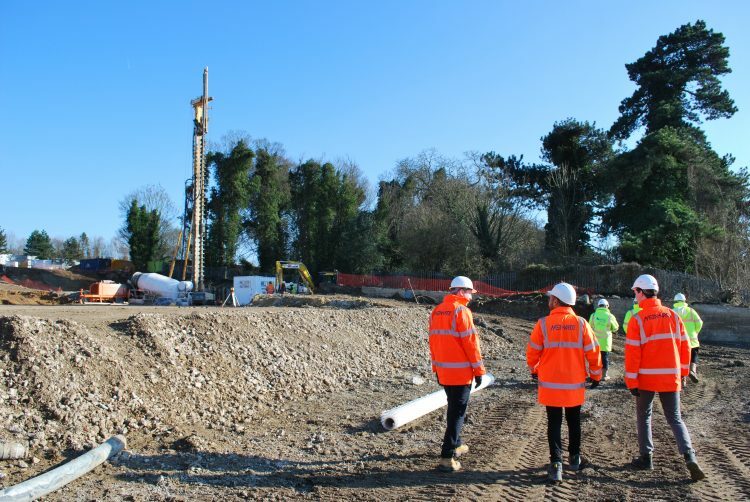 Our Structural Engineering team visited Springfield Park in Maidstone, Kent where Weston Homes have started work on their Waterhouse Gardens development which will see more than 500 residential units being created over 7 blocks linked via a landscaped podium. 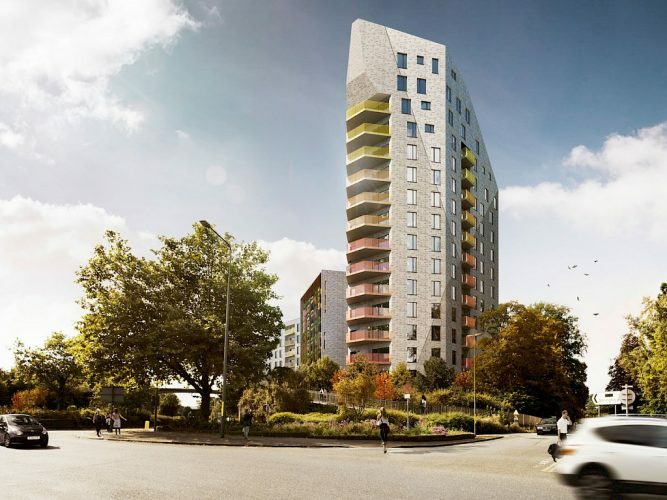 The development revolves around a 17-storey tower sited along Royal Engineers’ Road on the upper part of the site which slopes steeply towards the River Medway and Whatman Park beyond. The site was previously occupied by Kent County buildings. 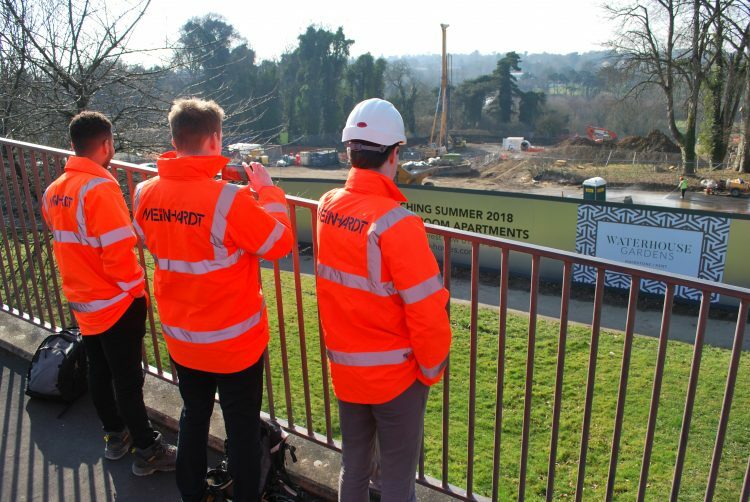 Meinhardt provided full structural engineering services for the project over the past 18 months and it is great for our team to witness the project coming off the ground. The ground conditions and sloped site made the design of the foundations and basement structure challenging. Meinhardt worked closely with Weston Homes Architectural team to coordinate the superstructure with the basement to deliver an efficient structure. Enabling works and piling by Hill Piling are underway with the RC frame to be built by Coinford to start shortly. The development will see more than 500 residential units being created over 7 blocks linked via a landscaped podium. 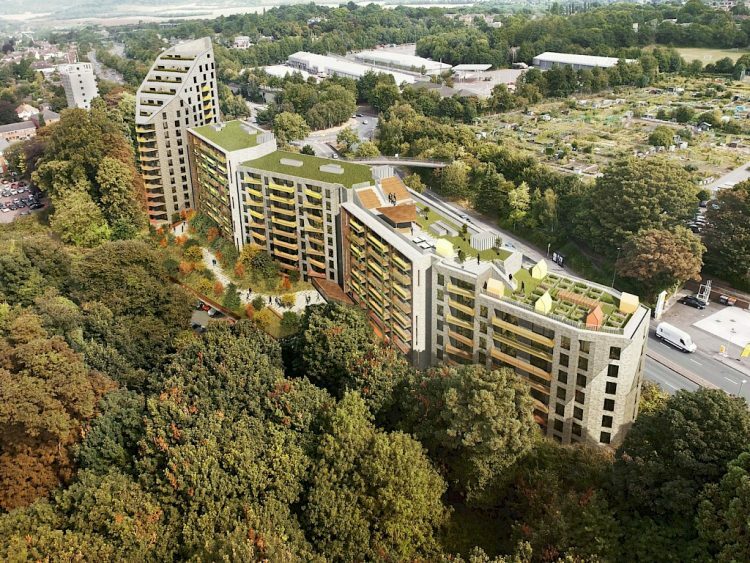 This project is one of several projects that Meinhardt have designed for Weston Homes in recent years and we are excited to be working with Weston Homes on new prominent developments this year.